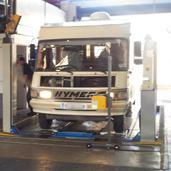 MOT Testing – Book or call in today. Class IV (4), Class V (5) and Class Vii (7). Charges start from only £39.99 incl. VAT (we do not charge for a re-test within 10 working days of the original test). Customer viewing – view your vehicle’s MOT safely from our reception area or relax in our waiting area (with free wi-fi) whilst your vehicle is tested.